As time passes, often a person’s financial and personal circumstances change. People begin new jobs, or leave old ones. They move. They may even remarry or start new families. When a person’s circumstances change significantly, that person may need to modify the terms of child custody, child support or spousal support orders in order to adequately reflect those changes. At Wilder Mahood McKinley & Oglesby, in Pittsburgh, Pennsylvania, we assist clients throughout western Pennsylvania in seeking and securing these kinds of post-divorce modifications to court orders. Through negotiations and court proceedings, our experienced family lawyers can help you reach a balance between your legal responsibilities and your personal and financial freedoms. Income status. If your income (or that of your former spouse) increased or decreased substantially because of a promotion or unemployment, it may be possible for you to obtain a change in support or custody payment amounts. Living arrangements. If your former spouse is moving out of state, has remarried, or lives with someone who is negatively influencing your children, you may be able to alter your custody and visitation terms. Child care. If your former spouse is abusing alcohol or drugs, working overly long hours, or engaging in other behavior that negatively affects the well-being of your child, you may be able to modify the terms of your child custody or support arrangement. You may also be able to secure a modification if you have personal issues that you have resolved by completing treatment, changing your living circumstances, or taking other steps to correct the objectionable behavior. Courts can set the obligations included in court orders and they can hold parties in contempt when they fail to meet those obligation. If your former spouse had failed to comply with a custody order, an order to pay child support, or a property division agreement, we can petition the court to enforce that order. 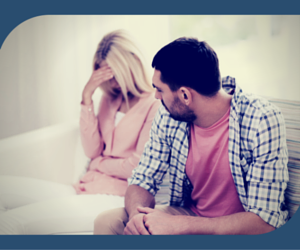 If you have questions about your options for modifications or enforcement, please contact our Pittsburgh divorce modifications attorneys online or by calling 412-261-4040.